Pilates is a series of exercises designed to help your body function better. You begin by concentrating on the deep abdominal muscles that support your spine and progress by bringing in other muscles, strengthening those that are weak and stretching those that are tight. Benefits include: increased mobility, flexibility and strength, improved balance, reduction in posture related aches and pains and lower stress level. Pilates is available to people of all ages although we prefer to see under 16s on a 1:1 basis rather than a group class. Pilates can help in the management of a range of muscular and joint conditions but is particularly beneficial for the management of back and neck pain. Pilates is also an excellent way of maintaining core strength, flexibility and general fitness. 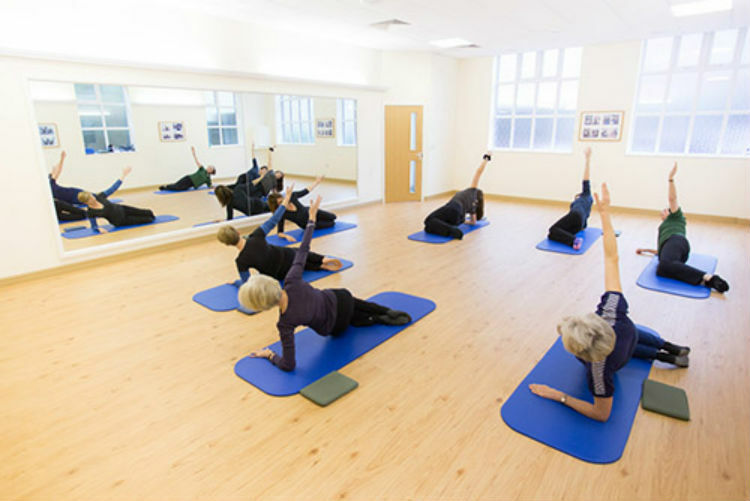 At the Courtyard we are committed to offering you the very best Pilates programme delivered by instructors who are fully trained Chartered Physiotherapists. This provides a unique opportunity for you in that your instructor will use physiotherapy skills of assessment and rehabilitation to specifically tailor exercises and routines to work on areas of weakness. An individual, one hour session with your instructor is required prior to attending any of our Pilates sessions. This will enable you to receive a full assessment and to learn the basics of The Pilates technique. Following your assessment you will be advised as to which class level or format (group or 1:1) will provide you with the most benefit. Take a look at our term dates for 2019 below.